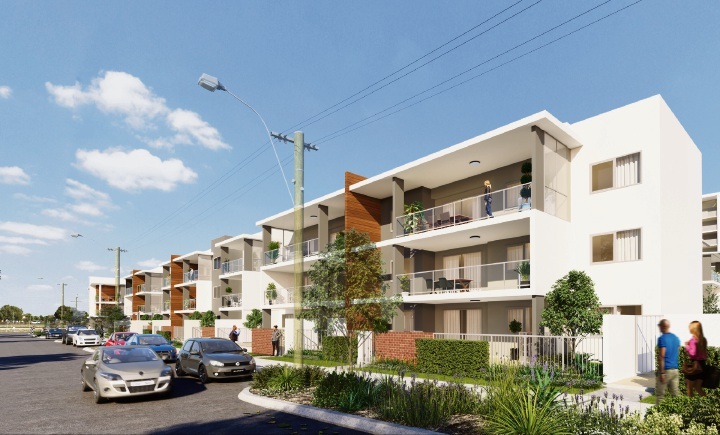 FINBAR’S One Kennedy development in Maylands is expected to appeal strongly to first-home buyers. Managing director Darren Pateman said they accounted for 25 per cent of sales across all Finbar projects. “What we’re seeing in (our) developments like Palmyra East is baby boomer mum and dads coming in and either helping out with the deposit or going guarantor on the loan so they can help get their kids into the market in their neighbourhood instead of their kids buying a house and land package an hour or more drive from the central city,” he said. 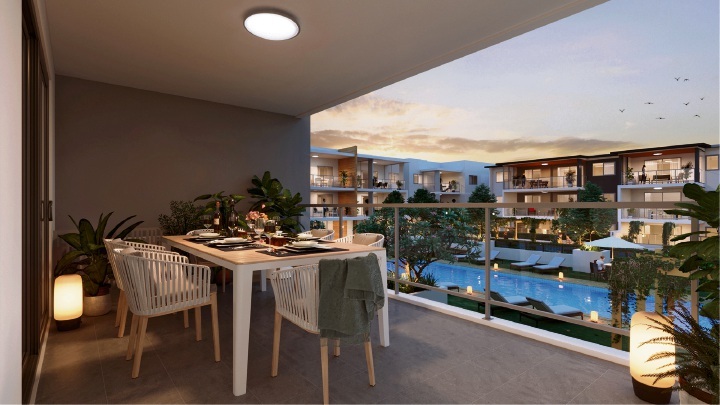 The 120-apartment project will include one, two and three-bedroom residences, with the majority priced under $430,000, placing them below the stamp duty threshold for first-home buyers in WA. “We’ve listened to what the market wants and delivered an affordable product without compromising on quality in an area that is fast becoming one of Perth’s most sought after city fringe locations,” Mr Pateman said. Mr Pateman said as well as being competitively priced, buyers would also benefit from a discounting strategy that could see them save up to $20,000 on the overall purchase price. 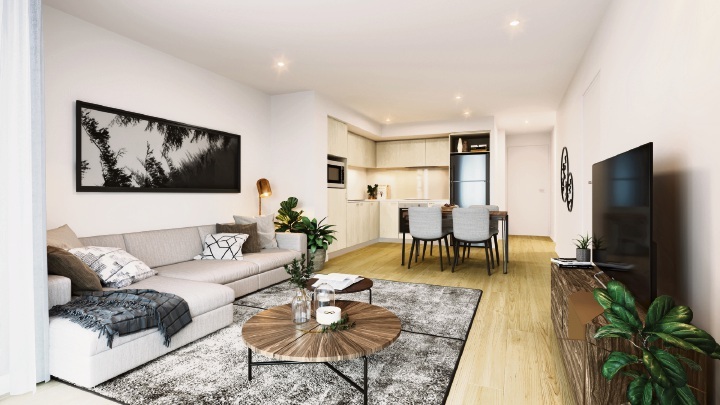 “Buyers can secure an apartment with just a $5000 deposit with the remainder on completion, giving those struggling to enter the property market breathing space to save for a more substantial deposit while construction was under way,” he said. “Those with sufficient funds to put down a 10 per cent deposit will benefit from a series of scaled discounts of $10,000 for a one-bedroom apartment, $15,000 for the two-bedroom and $20,000 saved on the purchase price of a three-bedroom apartment. One Kennedy is on the corner of Railway Parade and Kennedy Street, on the former site of Ross’s Auctions. It will include resort-style facilities such as a central courtyard, with lap pool, gym, residents’ lounge and outdoor barbecue cabana. The plan also includes communal open space and a potential ground-floor restaurant or cafe. Mr Pateman said One Kennedy’s location, just minutes from the CBD and in walking distance of the Maylands train station and Eighth Avenue cafe and retail strip, meant it ticked a number of boxes for a broad spectrum of buyers. “Although we do expect very strong interest from first-home buyers because of its competitive price point and the strategic discounting we are offering, our experience with (the development’s first stage) Unison tells us that it is also likely to appeal to young professional singles and couples as well as families looking to make hour-long commutes a thing of the past,” he said. Prices at One Kennedy start from $295,000 for a one-bedroom, one-bathroom apartment. For more information, visit www.onekennedy.com.au.